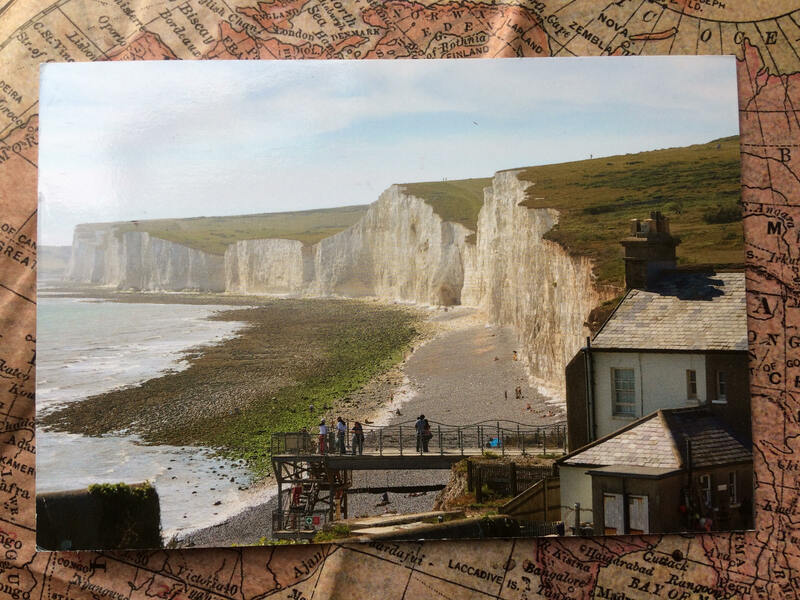 Thank you to Geography Cat’s Grandma and Grandpa for sending this postcard of the series of chalk cliffs known as the Seven Sisters, situated on the East Sussex coast of England. These chalk cliffs are constantly being eroded by the sea and retreat at the rate of 30-40cm per year. The erosion refreshes the rock face giving it its destinctive white facade. The cliffs are a niche habitat for many species of bird, whilst the chalk grassland on top is one of the most richly diverse habitats in Western Europe. There can be 50 different species of plant and animal in just one square metreof this fragile ecosystem. Pressure from human activity is making these extremely rare. Cliffs are dangerous places, both at the top, and at the bottom. Find out more about the Seven Sisters Country Park here.